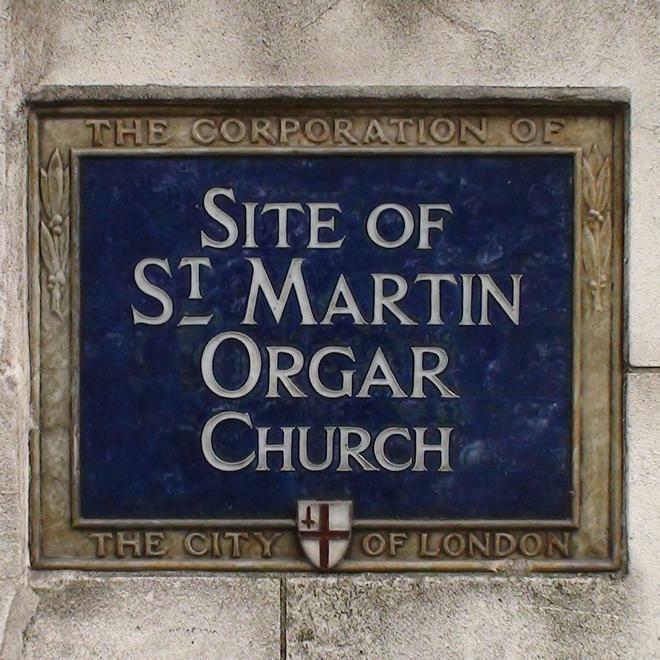 Site of St Martin Orgar Church. 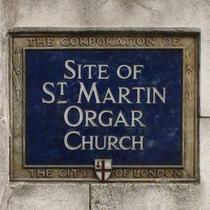 The building with the clock (dated 1853),just uphill from the plaque, is called 'The Old Rectory'. More information about the VC plaque project at Centenary News.